UFOs have been seen by many people all over the world and for a planet where two thirds of the surface is covered by water it should come as no surprise to the eclectic that there is more life hidden away from our eyes than what we get to see on TV. USOs or Unidentified Submerged Objects have been seen by many explorers, sailors, naval officers, fisherman and regular folk getting around the planet in their ships and boats. 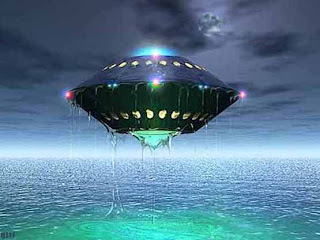 Deep Sea UFOs is a History Channel Documentary on the phenomena of underwater UFOs with some interesting case studies of USO encounters tracing far back to the time when Columbus and his crew were crossing the Bermuda Triangle and sighted mysterious underwater lights which top UFO researchers like Stanton Friedman believe correspond to USO activity reported in modern times. There is a strong belief among some that these UFOs emerge from inside the Hollow Earth and have their origins in the super advanced ancient city of Atlantis which lies somewhere in the depths of the Atlantic ocean. Many folks living along the Indian coastline have also witnessed bright colorful lights in the sky, particularly right before the Tsunami hit the eastern coast. 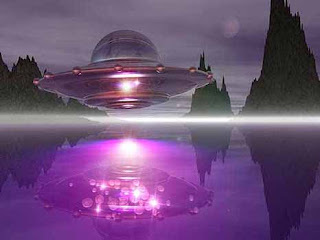 In South America, particularly in countries like Peru, Brazil and Argentina there are multiple UFO sightings everyday witnessed by hundreds and thousands of amazed onlookers. These sightings happen particularly around ancient sites, mountains, and volcanoes. 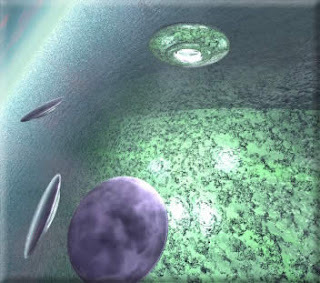 The UFOs are believed to emerge through these openings on the surface of the earth journeying from the deep hollow under world of Agartha. The 1967 "Shag Harbour Incident" is the only government documented USO crash, off the coast of Nova Scotia, Canada. The Laguna Cartegena in Puerto Rico a hotbed for USO activity is also featured in the History Channel Documentary 'Deep Sea UFOs' besides other fascinating reports of fast moving underwater vehicles emitting other smaller UFOs and disappearing without a trace. These USOs have been repeatedly attacked and chased in vain. It would make sense to keep an open mind to the possibility that Earth is inhabited by many other lifeforms we might remain unaware of until it is time for the truth to reveal itself. i've seen many. they are all over here.